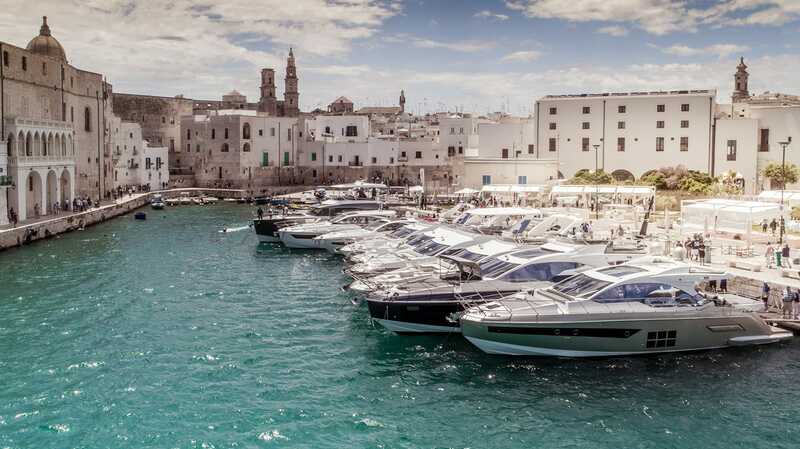 A year after the ‘Oceanis 51.1 phenomenon’, Beneteau is continuously creating a small revolution in this 30-year old line. 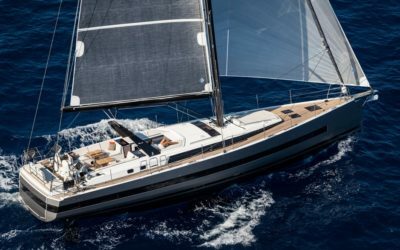 The new Oceanis 46.1 is a superb progression of the bestselling Oceanis 45, which has been very successful worldwide and was awarded the title of “European Yacht of the Year” in the Family Cruiser category, in 2012. 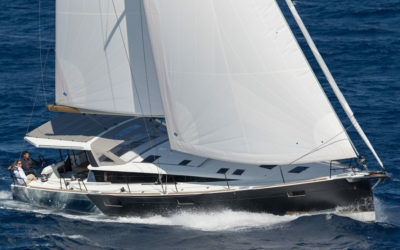 Loyal to the Oceanis yacht’s reputation, she is a joy to live aboard, with a wide choice of fittings. She boasts all the features of a large yacht without sacrificing speed and the quality of her fittings are unbeatable for a boat of this size. It is no coincidence that the Oceanis 46.1 is to be premiered in Australia, a country of seasoned sailors with high standards. Join us in Sydney next August and then at the main European and American boat shows in autumn 2018. 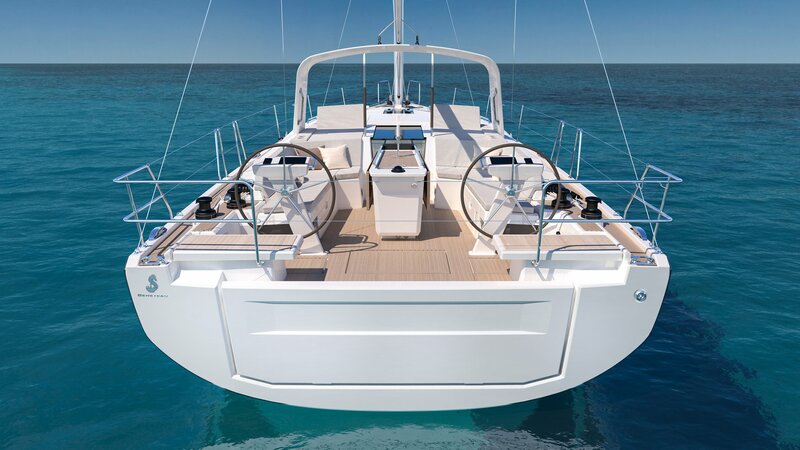 On deck, the architectural design creates a cockpit that is a great deal larger than on other yachts on the market and the spaces are skilfully distributed. The large cockpit table is designed for up to eight people and also cleverly houses the life raft. Manoeuvres have been made much easier by grouping the winches at the helm, creating a large space to unwind on either side of the companionway – equipped with two elegant reclining sun loungers together with drinks holders. When it is time for a nap, these can easily be lifted and taken to the yacht’s bow to relax there instead. 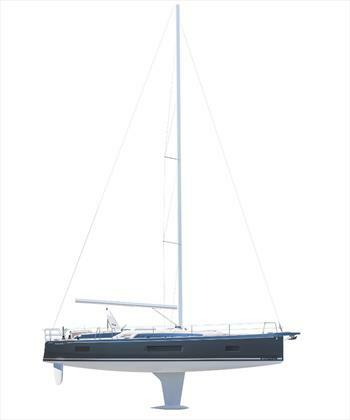 The aft of the Oceanis 46.1 hits the same note of comfort and well-being. A single step separates the cockpit from the huge swim platform, affording easy access to all the pleasures of the sea, much to everyone’s delight. You will also love the plancha grill built into the aft of the helm station, allowing you to cook from the platform or the cockpit. The impressive additional space in favour of comfort and habitability can be seen in all aspects of the interior fittings. Large hull portholes bring lots of natural light right into the heart of the boat, creating depth and elegance in the interior and providing a breathtaking view of the horizon. The interior cabinet work can be customized with a choice between brushed light oak or mahogany, and this can be extended to many of the options. Designed to be accessible and easy to use, in addition to the joys of life on board, the Oceanis 46.1 also provides increased safety for all crew types. With internal diagonal shrouds and verticals on the hull side, the split rigging frees a considerable amount of space for movement on deck. Equipped as standard with an inmast furling system and a self-tailing jib, all the halyards and sheets lead back to two winches on either side of the helm station. 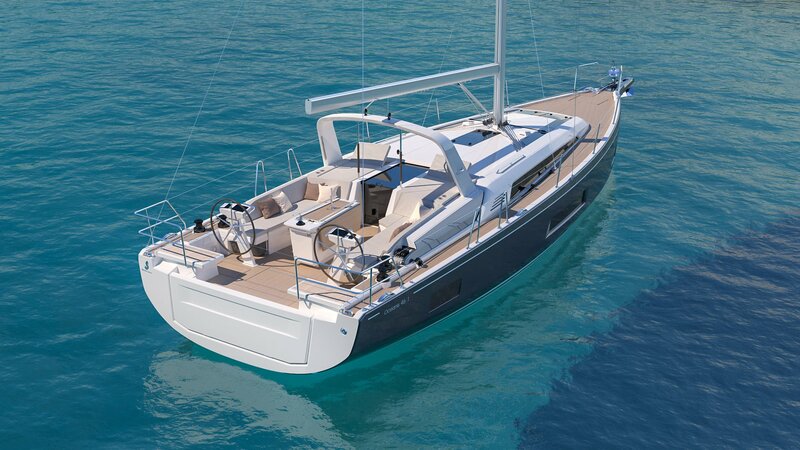 As for the choice of a twin rudder system with a fibre steering, it gives you greater control under sail. In addition to these main features, the different rigging plans and wide range of options mean that each sailing yacht can be customized to match its owner’s identity. 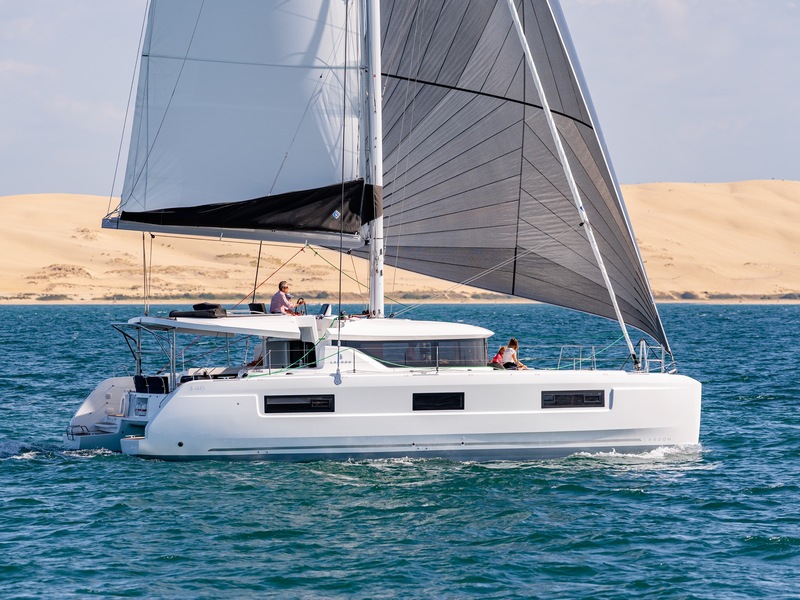 At Beneteau, even our smallest boats benefit from major technical progress, and the Oceanis 46.1 is no exception, with the best of the 51.1, which is why we have a reputation for ‘best for value’. While remaining easy to access and easy-going, she is a real pleasure to cruise and can be adapted to a wide range of sailing profiles. 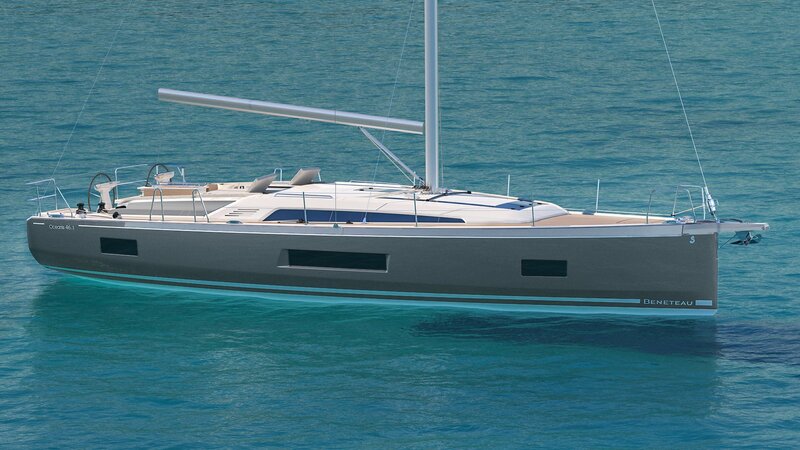 The Oceanis 46.1 has the style and performance of an outstanding new generation of sailing yachts and as such it is eagerly awaited. For enquiries about this model, feel free to contact us through our details at the bottom of this page.